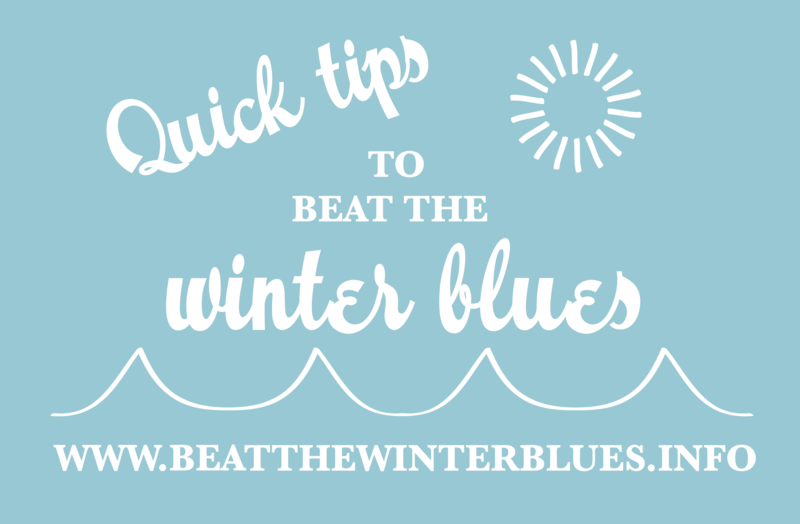 [vc_column_text] Interested in finding out how you can chase away your winter blues? Read below for tips you can instantly implement to help cure Seasonal Affective Disorder. There are lots of things you can do and this is by no means an exhaustive list. In fact, we will continue to update this page and add further tips. The items below are in no particular order, so you can just browse through them at your leisure. Some of the tips below are easier to implement, some harder. For some you will see immediate results, for others you would need to wait some time until the positive effects kick in. Some will cost you money, but most, like putting a smile on your face will come for free. Browse through the list and do whatever feels right for you at this moment. Take action now! Going for a skiing holiday! I get to spend time with my friends, get some exercise and some fresh air and often there’s lots of sunshine! “Smile” – love it! It’s so easy, yet so powerful!